Enjoy our small collection of cherub angels. These baby angels are sure to spark feelings of tenderness, love and kindness. What is a cherub? We all have seen the rosy-cheeked, baby angels with tiny wings. But surprisingly, the cherubs (the correct plural word is cherubim) mentioned in the Bible are bold and frightening angel warriors. It is not clear when the cherubim started being portrayed as baby angels. However, experts believe that this trend started during the Italian Renaissance. During this period, many painters started portraying angels as tiny angels with wings. Scholars believe that these winged babies - known as putti - have their origin in Greco-Roman mythology. These putti are associated with Eros (Cupid), the god of love, and Erato, the muse of lyric and love poetry. Cherubim, on the other hand, are a high-ranking order of powerful angels. This article about angel hierarchy explains the different types of angels and angelic orders. Cherubs are mentioned in the Torah. As mentioned above, after the Renaissance cherubs have been confused with putti, innocent souls depicted as winged little children and babies. Putti are not cherubim. 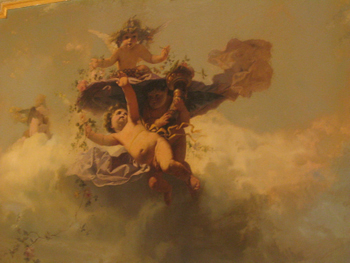 Cherubs are a popular theme in art. 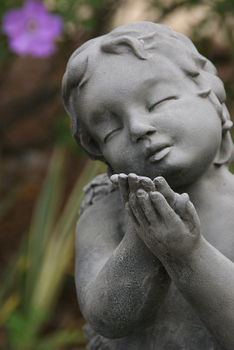 You will find lots of paintings and sculptures depicting baby angels. Sometimes your friends are actually guardian angels in disguise. Who stay nereby, tho yet unseen. That I might see the smile of Him!